Campbell is National Director of Business Strategy at CBRE New Zealand. Together with the Senior Managing Director, Campbell provides strong leadership across all CBRE New Zealand’s business lines. Campbell is also National Director of the Valuation & Advisory Services business line, where he guides and fosters the continued growth of CBRE’s valuation business. Campbell’s experience encompasses a wide range of commercial and retail property with specific valuation experience in CBD office buildings, shopping centres, multi-tenanted commercial formats, carpark buildings, office and retail development assets and leasehold property. After joining CBRE in 2001, Campbell spent five years in CBRE’s shopping centre valuation team and then in 2006 was appointed to lead CBRE’s specialist Office sector valuation team. Campbell has been involved with almost all of the major office assets in Auckland and Wellington and regularly manages the valuation of large portfolios for both financial reporting and mortgage security purposes. He has provided due diligence valuation advice for numerous transactions, feasibility analysis for office developments, strategic advice for asset repositioning and provides on-going value risk mitigation advice to a range of clients in both the listed, institutional and private sectors. He is regularly involved with rent review negotiations, arbitration and lease structure consultancy. 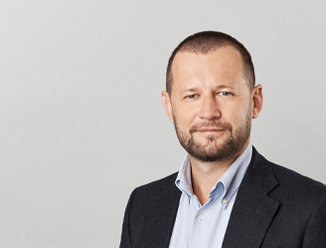 Campbell has served on the Auckland branch of the Property Institute of New Zealand and is a regular guest lecturer at the University of Auckland in CBD office building valuation. Campbell has appeared as an expert witness providing evidence in arbitration and the High Court.